On the 5th of October 1962, The Beatles’ first single ‘Love Me Do’ was released. 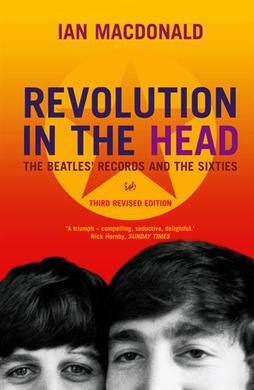 The release of the song triumphantly marks the beginning of one of the most fascinating phenomena in the history of popular music – the ‘Beatlemania’. On the 5th of October 1962, after few years of ups and downs, The Beatles were officially making it into the charts. Despite the fact that ‘Love Me Do’ peaked at only number seventeen and that the songwriting credit was given to ‘McArtney’ rather than ‘Lennon-McCartney’ partnership, The Beatles soon became the hottest bun in the music industry. Taking also into consideration the sexual boom of the 1960s, love and everything that was love related, seemed to be one of the best selling themes in popular music. The 1960s were the time of breaking away from the post-war traumas and the phantom of the Cold War that dominated for most of the 1950s. Young people were finally able to release all kinds of emotions accumulated somewhere in the social subconscious by the preceding generations. That is why ‘Love Me Do’ and The Beatles – with a significant help from the producer George Martin, who by replacing the drummer Pete Best with Ringo Star, brought a new energetic charisma into the band’s sound – fitted perfectly within the hormonal storm of the 1960s. ‘Love Me Do’, in its minimalist form, was like a mini skirt to the generation of teenage girls (and boys) at the time – simply hot and inviting. Thanks. Always good to quote I Mac – best critic of Beatles work. They had the talent but also the work ethic, drive and curiosity to become legends. Regards Thom. Music of its time. Great post.